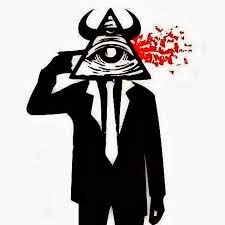 An inside source warned me over the weekend to be on the lookout for another banker “suicide,” and sure enough I awoke this morning to the news that another JP Morgan banker jumped to his death. An investment banker on Tuesday jumped to his death from the roof of Chater House in Central, where Wall Street bank JP Morgan has its Asia headquarters, several witnesses told the South China Morning Post. Witnesses said the man initially went to the roof of Chater House, a 30-floor building in the heart of Hong Kong’s central business district — and later jumped. The incident happened between 2pm to 3pm, one witness said. Several policemen were seen on the roof but apparently failed to convince the man not to jump, one of the witnesses said. Police later confirmed to the Post that a 33-year-old man — surnamed Li — was found in a dangerous position on the roof of Chater House on Connaught Road Central at 2.08pm local time. Li threw himself off the building before the city’s emergency crew arrived. This brings the total to 6 top levels bankers and approximately 20 when low level bankers are included, in a very short span of time. We were warned by “V” The Guerrilla Economist, via Steve Quayle, in multiple alerts, that the “house is being swept,” and financial footprints are being purged. January 29, 2014 Alert here. February 5, 2014 Alert here. The other five are, Richard Talley who shot himself with a nailgun. Mike Dueker was found dead close to the Tacoma Narrows Bridge in Washington State. William Broeksmit, was found dead on January 26 in his home after an apparent suicide in South Kensington in central London. Karl Slym, 51, was found dead on the fourth floor of the Shangri-La hotel in Bangkok. 39-year-old Gabriel Magee, a JP Morgan employee, died after falling from the roof of its European headquarters in London. The house is being swept folks and this rash of suicides seems to be just the tip of the iceberg. What do those behind this have on these men that would make them kill themselves? Some type of mind control? Threats against their families? The statistical chances of this many, in the same field, in this short amount of time, all committing suicide randomly, is remote at best and when the mysterious deaths of the approximate other 20 are added in, downright impossible. Something huge is here and it is happening now. [Update] Is this why the “fat cats” are running scared?